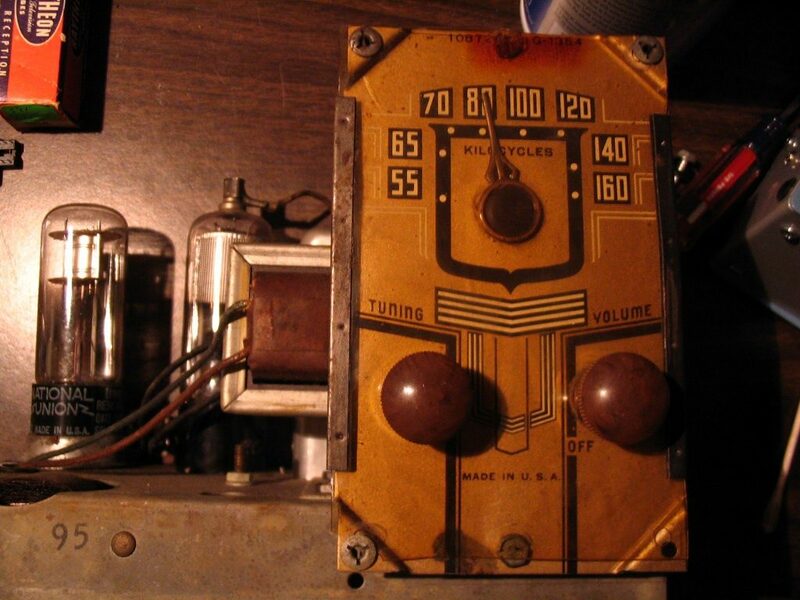 This little old radio was given to me by a good ham radio friend of mine. 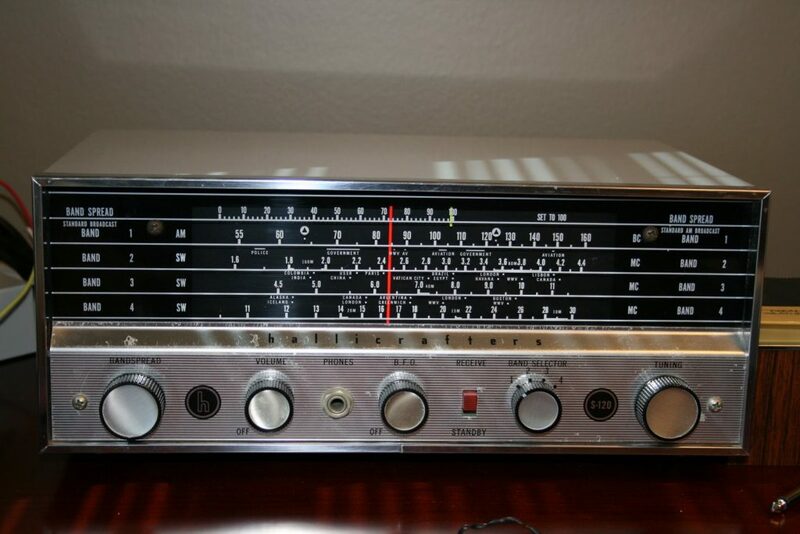 It was excess to his needs and he called it a challenge: what can you do to improve this ugly old radio. And it was an Ugly Duckling, in very rough shape. As a portable, how many beaches had it visited? It was used so much the handle is gone! 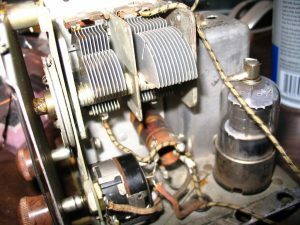 How many vacations or garages had it provided radio? Some research turns up that this is a nice example of a very simple Reflex radio. 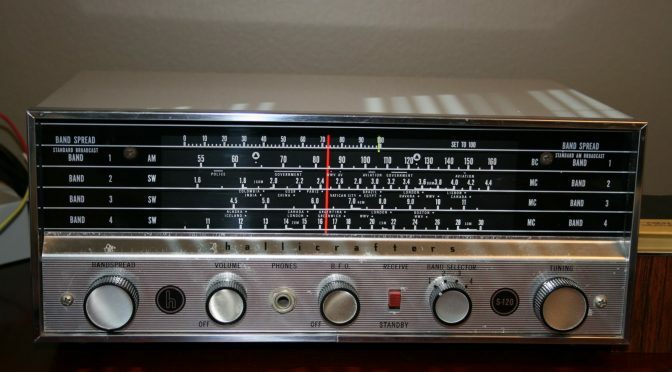 The first Tube, a 1A7G, tunes the signal. 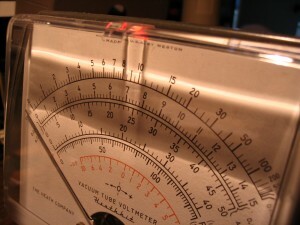 This is fed to the 1N5G which amplifies the IF signal. Note that the Volume Control wiper sends the incoming IF back to the input of the 1N5G. Eventually a signal exits the 2nd IF Transformer to the Diode Plate of the 1N6G where the AM is Detected. 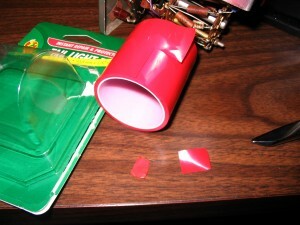 The rest of the tube is an Amplifier for the Speaker. Each stage does double-duty! Also, a simple AVC is provided via the Audio Transformer which, using the Screen Grid of the 1N6G, controls volume. Tuning dial is yellowed but clear. Together, with the three tubes (and the 1N6G is basically 1A5G with an added diode), the current draw is only 150 ma for filament and just under 7 ma at 90 volts plate. The Sentinel 160BL was also sold as the Aria, in the Allied Stores in New York. 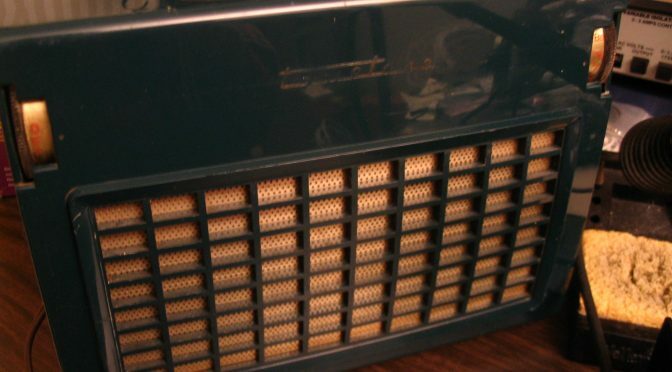 This radio was marketed under Sentinel’s own brand, and also as an “Aria” branded radio, which was a department store brand. “Aria” was sold in Allied Stores of New York (ref: from ‘radioremembered.org’, “ALLIED STORES (private brand Aria), 1440 Broadway, New York, N. Y.”). The 1939 components were very nearly all out of tolerance. There are only one or two ‘original’ parts left underneath. 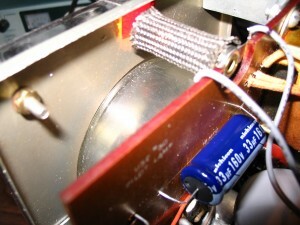 Detail of the Tuning Capacitor, oscillator coil, and 1A7G tube. Some of the wicker-covering was peeling; some glue repaired this. Cabinet blocking inside was loose – glued to reinforce. Missing Handle – Replaced with a not-quite-Repro quality (but functional) leather strap. Replaced resistors and capacitors as needed, testing for significant out-of-tolerance. Aligned, per the “Rider’s Perpetual, Volume 11 (1940 and before)”. It’s a swell little AM Broadcast receiver now, and runs under test power. But what to do about portable power options? 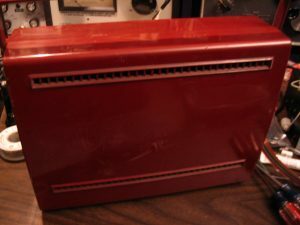 The S-120 resided in my office at work for almost a year until it developed an annoying 60-cycle hum that finally wouldn’t go away once it warmed up. Time to replace the electrolytics. The Hallicrafters S-120 is essentially the same circuit as the S-38 series: an All-American 5 tube, minus the rectifier — replaced with a selenium rectifier. 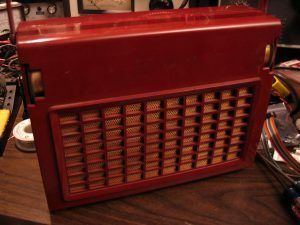 I bought this swell little radio from a fellow who thought it was dead, except for a few AM Broadcast stations. I brought it home and after a quick spray of Deoxid on the bandswitch and 3-in-1 oil on the tuning shafts (they were almost frozen) within 10-minutes it was working on all bands. Total cost: $10. Antenna is a ferrite rod, built-in. The rear panel has clips to hold an extending rod antenna — mine is missing. Variations of this model include the SW-500 (same, but a sort-of slate-blue metal cabinet), and the WR-600 (same, but a wood cabinet). It’s a swell consumer-level general coverage receiver, and works great when provided a proper 75-foot long-wire plus a solid ground. 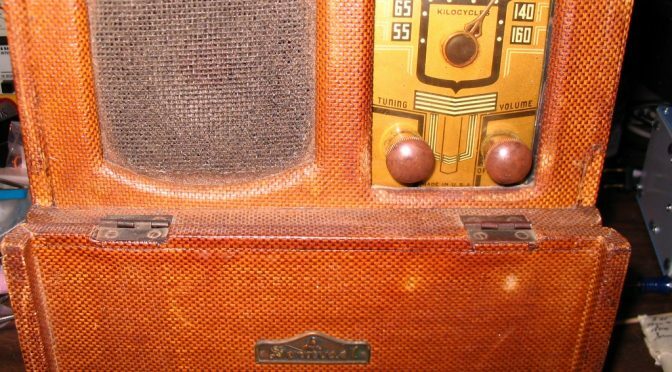 lastic spacers and screw attachment points — this is a hot-chassis radio. The ‘ground’ in the schematic is actually B-; chassis is separated from B- by C29 and R18 (in parallel). 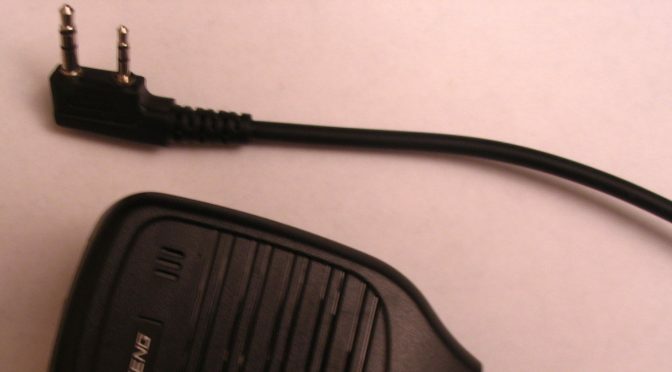 Polarizing the power cord forces B- to always be the ‘neutral’. C31 – A, B, C, and D – the 4-in-1 electrolytic capacitor sits above the chassis, the same side as the tubes. Unfortunately, there’s no good place to put a terminal strip; plus the leads to the 4-in-1 would have to be spliced to extend above the chassis. So, I relented and put the 4 individual caps near their + connection point; B- is available at several points, which makes this a convenient way to go. An alternative would be to measure this 4-in-1 electrolytic and contact Hayseed Hamfest for a modern replacement. At the time of this writing, they have an exact replacement for the ‘can’ in the S-120. Replaced the 4 Electrolytics, leaving the old 4-in-1 in place, but not electrically connected. Replaced all the tubulars, basically any by-pass capacitors. Reception is extremely strong on all four bands. Didn’t do an alignment. 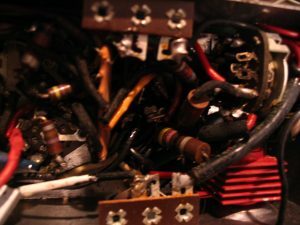 After rotating the radio home, and an extended stay playing there, the selenium rectifier gave up it’s ghost, with the accompanying stink. 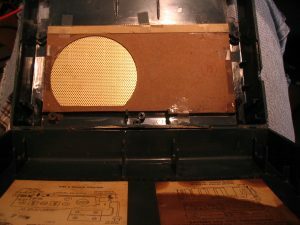 The selenium rectifier was replaced with a modern 1N4007 diode and a series 200 ohm, wire-wound resistor. The modern diode has quite a bit less voltage drop than the old selenium, and the resistor compensates to keep all the internal voltages ‘pretty close’ to what’s on the schematic. 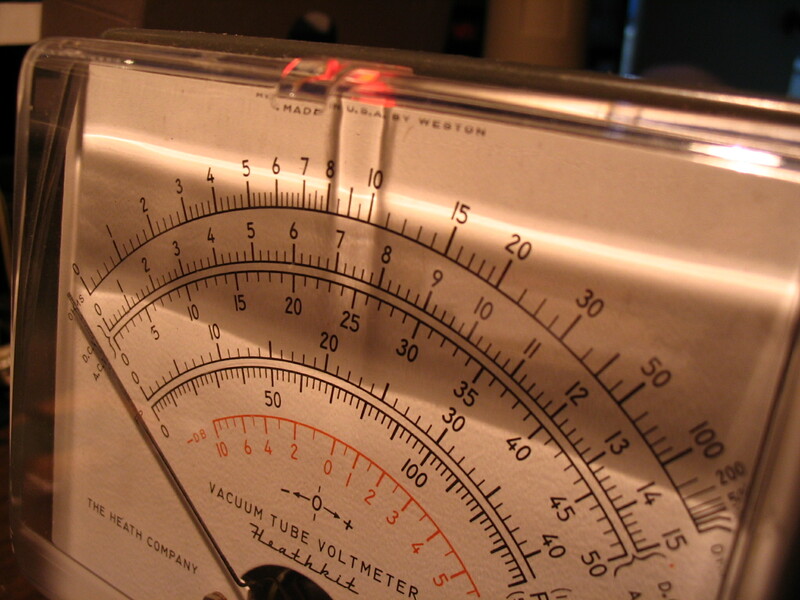 Owners Guide, a great reference on setting up an antenna for Broadcast and Shortwave listening, as well as the radio’s basic controls. 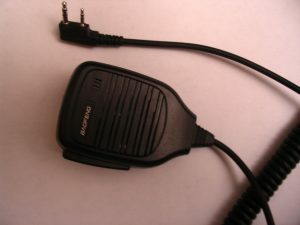 If your’e going to own a Beofeng radio, you might as well have a cheap knockoff microphone to go with it. So, off to eBay we go. And, surprisingly, for a Chinese purchase, it arrives in about 2 weeks. After all, what else do you need, but an electret capsule, a tactile button and some plastic. Works perfectly. It’s light – there’s nothing to it but the essentials. I have no idea if the Beofeng logo is ‘official’ or pirate. Cost: $2.89, free shipping. This is great. 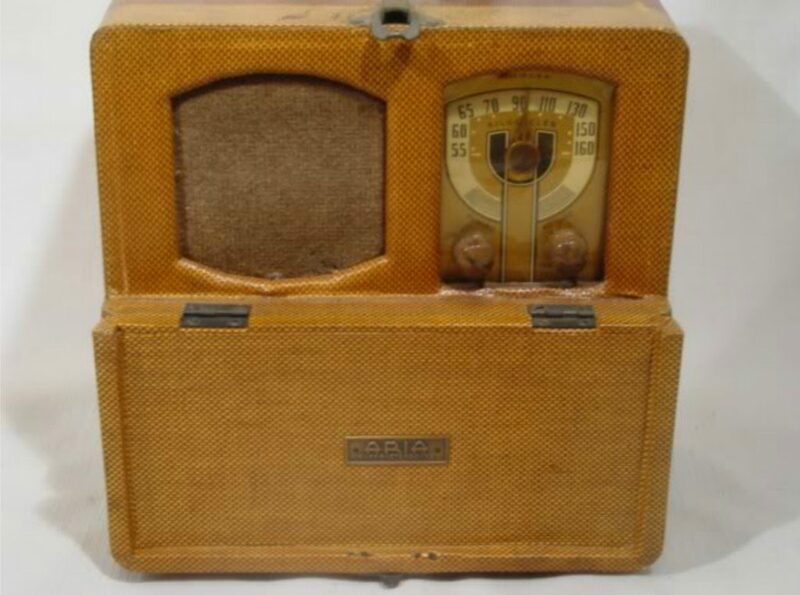 Now I’d like another one to hack up, for other little radios I’ve built. My second order was placed during Chinese New Year, and it takes an additional week to arrive. This one doesn’t work – no audio. And it has a small rattle inside. Well, whaddaya expect for $2.89? Out with a T9 Torx screwdriver. Turns out the electret capsule is soldered, but… somehow there’s no connection. 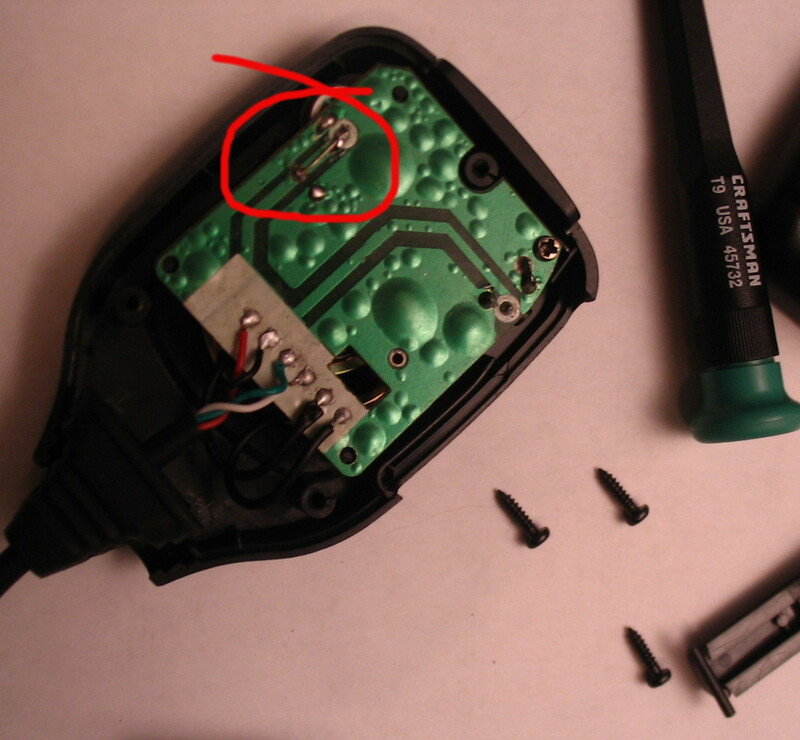 Fixed it by soldering from the electret capsule to another exposed point. But look at the PCB: the solder-mask is bubbly. It’s just poor quality. Heck, I don’t know how they can provide the plastic shell, the wire in the cable, the dual plug, the electret capsule, a tiny right-angle tactile button, and the screws — for $2.89, shipped. 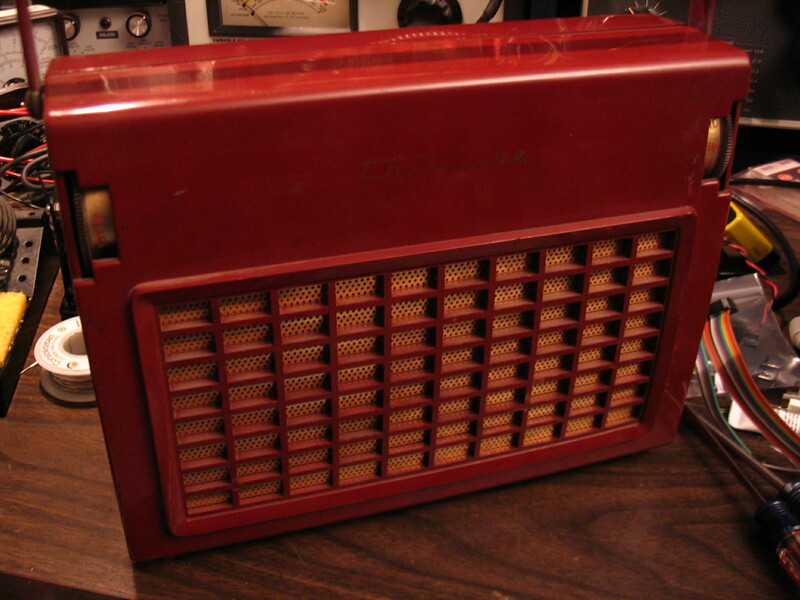 Last night, I turned on the Hallicrafters S-120 to catch some C&W music on AM. Zortch! Followed by (smolder). And a great and unholy stench was unleashed. It seems I’d left the old selenium rectifier in-circuit. Big mistake. 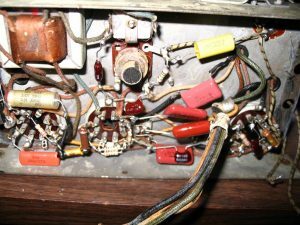 I’d discounted the many comments by “The Elders” on Antiqueradios.com regarding the failure mode of these old rectifiers. Never again. After using it for several months in the office, then occasionally at home, I can now say this: it may have been sitting in storage for 30 years, mean-time-to-failure (MTTF) is about a year. And if you don’t know what burnt selenium rectifier smells like… you don’t want to. 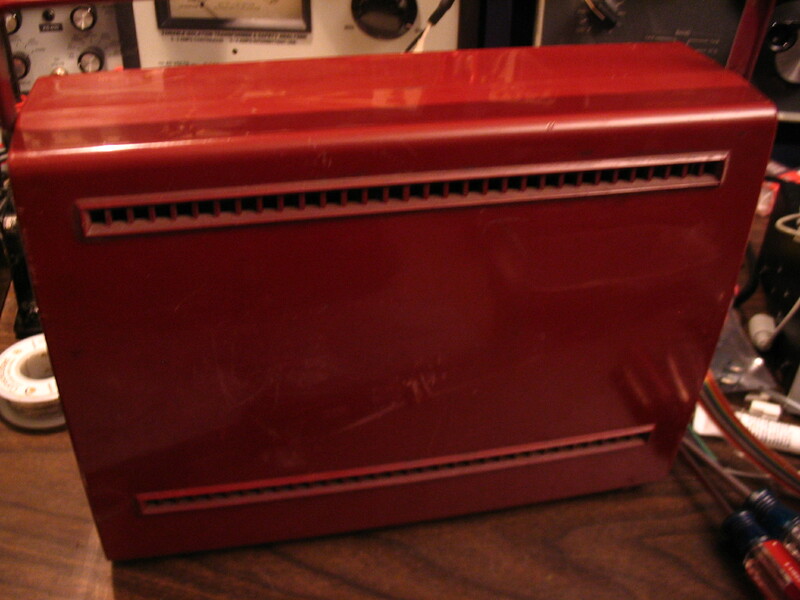 Replaced the old selenium rectifier (which made a satisfactory ‘clunk’ in trash can) with a 1N4007 diode. Also replaced R21, a 33 ohm Fuse-Resistor which… had done it’s job by going not quite open, but to over 100k-ohms, with a 5 watt, 100 ohm resistor. 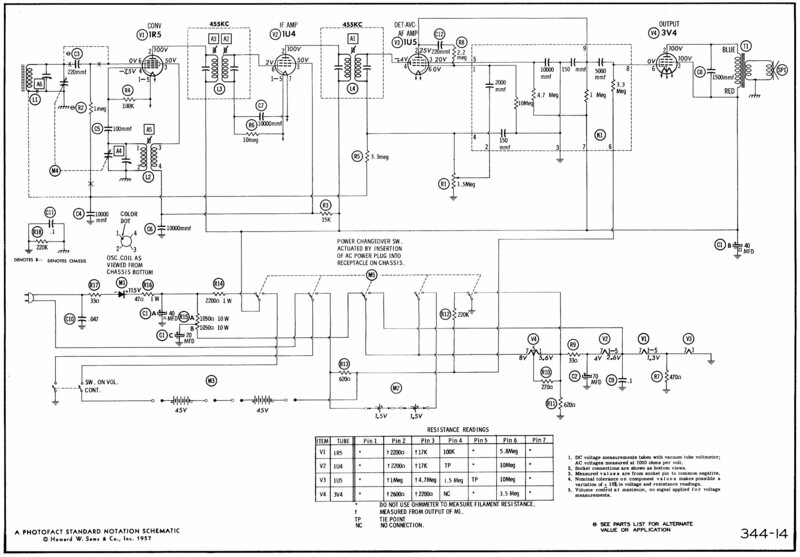 This value put the DC input voltages at almost the exact levels indicated on the schematic. Now I’m on a hard-target search for any remaining selenium rectifiers in any of my test gear or tube radios. Getting Re-Started with the Hallicrafters SX-42. Finally made a place to work on it, as it takes up so much space. At it again, replacing the clock in an SB-630 Station Console. Why? Because it’s there. And, if it’s worth doing, it’s worth over-doing. Update: I updated the project with a clock that receives WWVB signals. Finished the Hallicrafters S-38E obtained from Jim Heye a while back; need to start on that. Finally got some Bristol Keys (McMaster-Carr #7048A55) to take the knobs off. Hex keys work *sometimes*, but always mess up the slugs. Finished the <a href=”TO-Y-600_refurb.php”>TransOceanic Y-600</a>. This is a magnificent radio and turned out nicer than I could’ve expected. A fortunate turn on this model was that the 1L6 tube is in good shape. Although in fairly ready supply, the tube has reached ‘unobtainium’ prices, even though solid-state substitutes are available. 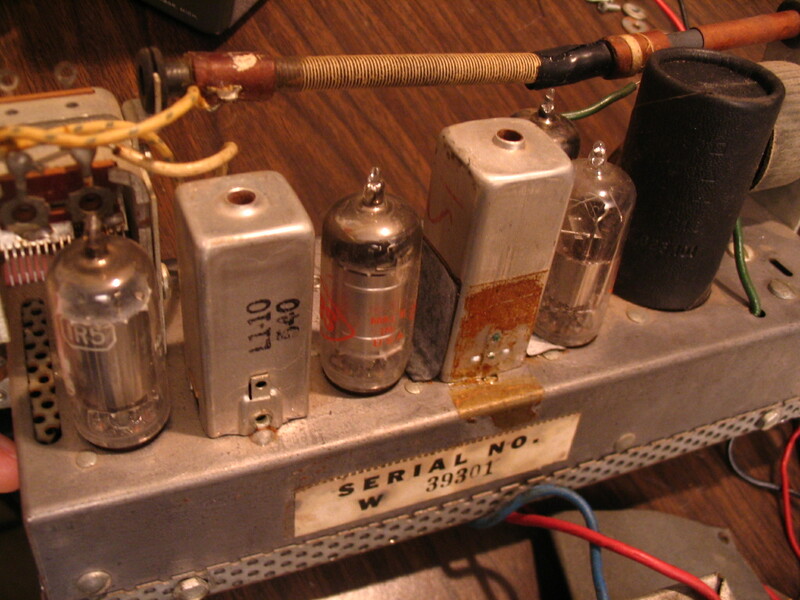 In any case the 50A1 was replaced with a solid-state replacement, which provides very stable current and voltage regulation, which is a good thing given the expense of the 1L6 tube.